Today’s Question: How has forgiveness changed your life? 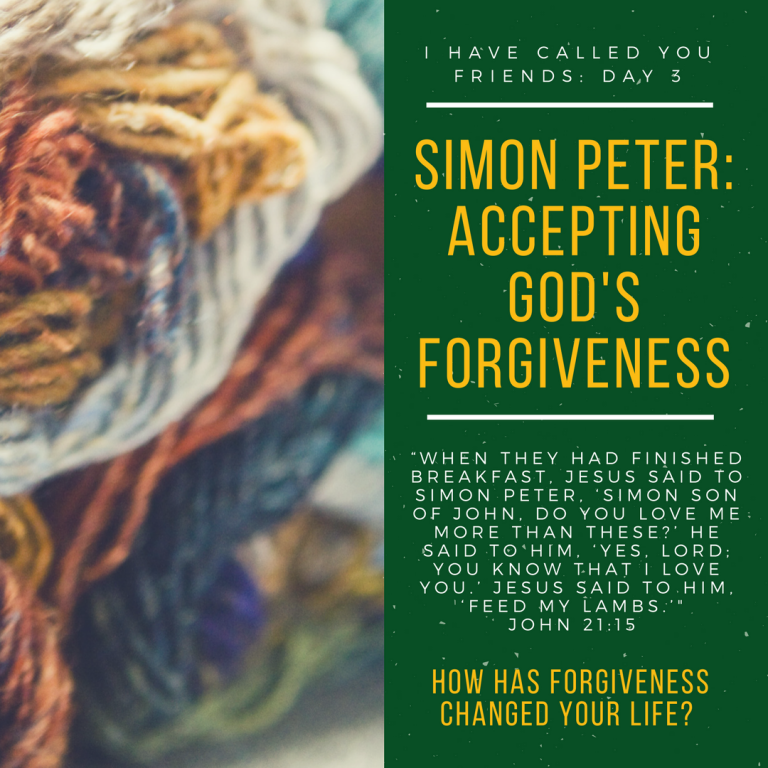 In today’s Scripture (John 21:15) we hear of Jesus’ forgiveness of Simon Peter after he had abandoned Him at the Crucifixion. With Jesus’ forgiveness comes restoration and then a command to go out and feed others with the same type of forgiveness. I find it easier to say “I’m sorry” than I do to ask, “Do you forgive me?” When I express sadness, it is still about me and my desire to make amends for an event that occurred. But when I ask, ‘do you forgive me?’ I’m asking how the other person feels about our relationship. I can twist and turn my apology, “I’m sorry things didn’t work out” without really taking any responsibility. When I ask for forgiveness, I am laying down my barren soul, taking responsibility for the hurt and acknowledging my role in it. Reading today’s Scripture I wonder if Peter (and I) should ask, “Jesus, do you forgive me?” which when answered affirmatively, changes the relationship forever. Please enter the discussion: How has forgiveness changed your life?